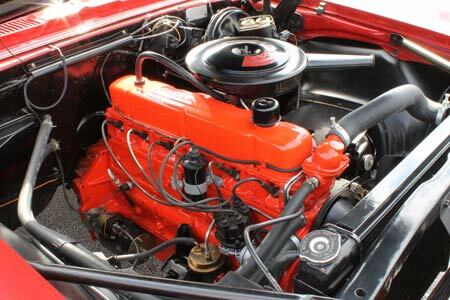 This ’67 Camaro sports an original 250 cube six, and draws more attention than its V8 brethren. My relationship with Camaros began in November 1966. 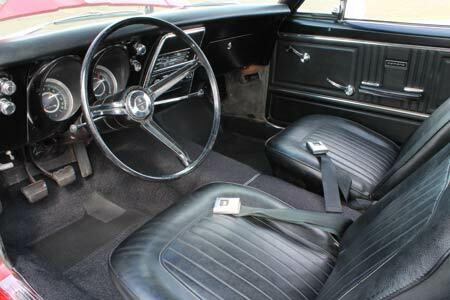 My uncle, Bob McKeown, walked into Spielman Chevrolet in Brooklyn, NY, and drove out of the showroom with a new 1967 Camaro– one of the first ones built. At the time, this car was nothing special; just an inline 250 cubic-inch six-cylinder with a 3-speed manual transmission on the column. Not long afterward, he paid me and a neighbor five dollars to wash and wax his new Camaro. We were thrilled, not just because we got $2.50 each (a lot of money for teenagers in 1967) but also because we actually got to go over, under, and around a real Camaro! 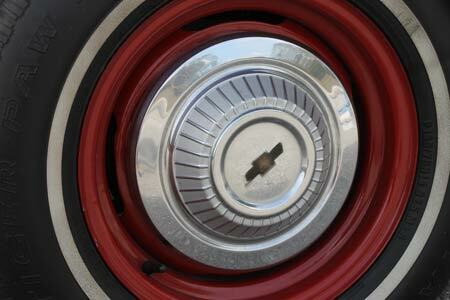 It didn’t matter to us that it wasn’t an SS, it was a Camaro– and nobody else we knew even had one. In 1972, Uncle Bob moved to Florida and drove the car to Indian Harbour Beach. For the next twenty years, he drove it to church, to the library, or to the grocery store, but he didn’t put many miles on it. He did, however, go to JC Penney’s soon after he got to Florida, and had an aftermarket air conditioner installed. In 1991 he finally replaced the snow tires, which had been on the car since it came from New York. When Uncle Bob died in 1993, the car had logged 59,000 miles. The Camaro sat in my mother’s garage until my son, Kevin Michael, needed a car to take to school. At the time, I figured that this was a car few others had and that you couldn’t get into too much trouble with a straight six engine. Besides, none of the other kids would know how to drive a three-on-the-tree. So, in November 2003, we took the car to Paul McGuire, a local expert with first generation Camaros. 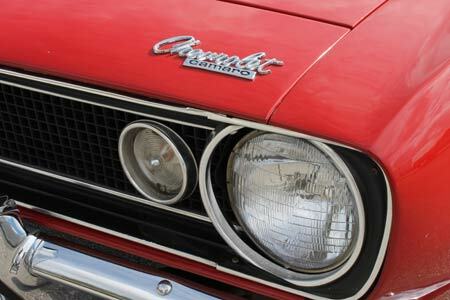 Paul has owned several show winning Camaros, and restored many more. I asked Paul if he could remove the Florida cancer (rust), repaint it, and make it safe for a teenager to drive. My other request was to let my son Kevin help with it as much as possible, thus learning about cars in general. It would also show Kevin how much effort went into a restoration. Paul and his son Ryan went to work, with Kevin and me helping when we could. A lot of sheet metal needed replacing, but the interior was in pretty good shape. The drive train, although ugly, was all there and in working order. We found many parts, including the seats, dash, and even the spark plug wires didn’t need to be replaced. 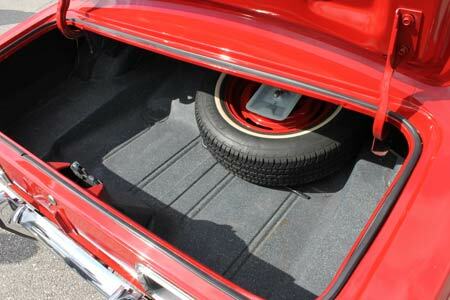 Paul removed the JC Penney cooler, and added a power brake booster for safety. When he removed the head, the gasket still looked new. We couldn’t tell if the transmission had been serviced since it was in such good shape. Six months later, we stood looking at a beautifully restored piece of Camaro history. My son correctly concluded that he couldn’t leave this car in a high school parking lot, so we ended up getting him a 1996 3.8L Camaro RS for daily driving. The ’67 Camaro has been in many shows since then, and it always gets more attention than my other Camaros. That’s probably due to Paul’s excellent restoration, but also because there are so few original 1967 Camaros which still sport 155 hp 6 cylinder power plants and a 3-speed manual column shifter! •Almost all of 1967-1969 Camaros were built in two U.S. assembly plants: Norwood, OH and Van Nuys, CA. There were five other Camaro assembly plants in countries that required local assembly and content. These plants were located in the Philippines, Belgium, Switzerland, Venezuela, and Peru. 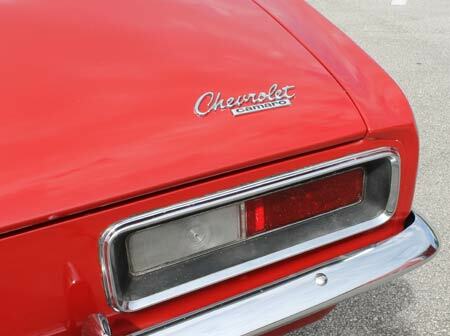 •The Z/28 option code was introduced in December 1966 for the 1967 model year. It was the brainchild of Vince Piggins (GM racing guru), who conceived the “virtually race-ready” Camaros for sale from any Chevrolet dealer. This option package was not mentioned in any sales literature (it was intended more for professional racing), so it was unknown to most buyers. 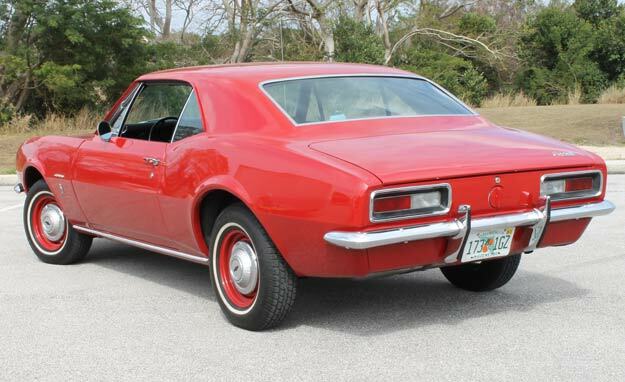 Hence, only 602 Z/28s were produced for the ’67 model year. in February 2011 I found a 2002 Camaro w/T-top black in and out w/ 3.8. I bought it with 48,000 miles on it and 4 yrs later it has 77,000 miles. I don’t drive it in the rain or snow. I did driver her once in the snow, it doesn’t go in the snow. My wife won’t let me drive it when wet or snowing. I won’t let myself drive either. We love our Camaro. We would like to buy another one. Older one. The Camaro is one of sexiest cars on the road. I would like to join a Camaro club. Are there any clubs in the northeast ohio area? Yes, there are plenty of clubs in Ohio. Please check out this link, and good luck with your search for a Camaro! I bought a 67 Z28 Camaro new, it was passed to my brother who sold it. It’s a long (sad) story. I found a picture of what appears to be my old car completely restored. The book is Cars of the 60’s Paul McGuire was listed as an owner. I have no claim to the car, I’m just glad it didn’t wind up in a junkyard. 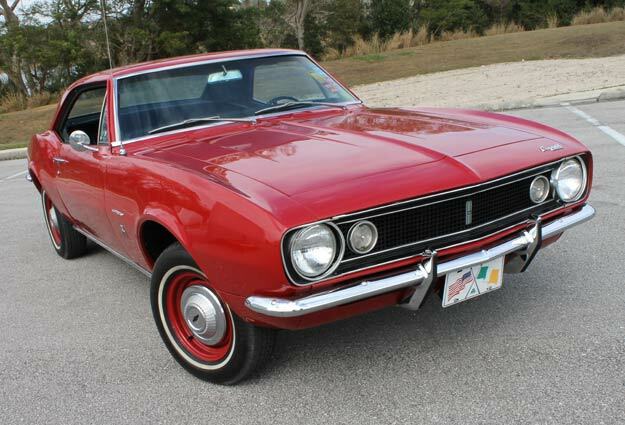 If anyone knows about this car, Red, Black stripes, Vinyl roof no other options than those mandated by the RPO Z28. I bought the car new in LA so it was one of the few with California emissions . The car was sold by my brother in Lantana. Florida in the mid 70’s I think. I used to have parts, but not anymore. I can remember some history if the owner wants to contact me. Is the 67 6 cal for sale?